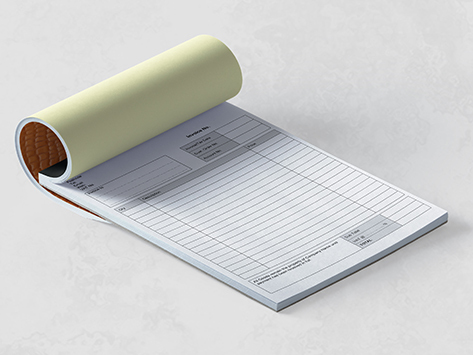 We offer a wide range of NCR books on the Sunshine Coast which are most commonly used as invoice or receipt books. Available in duplicate, triplicate and quadruplicate, our Croc Board NCRs are available in Red, Blue, Black or Green. With sizes ranging from DL to A4, and a minimum quantity of just 5, it's never been easier to order. ** We only print in CMYK so any PANTONE colours will be converted to CMYK. Copies can be in White, Yellow, Pink, Blue or Green and will be printed in black as standard. The last page in the set will be held fast in the book. All other pages in the set will have a perf. All NCR books come with numbering free of charge. The first page in the set will be numbered in red and the copies will be numbered in black. If you don’t want numbering, no worries. Simply untick numbering in ‘extras’.